Earlier this year, the central government constituted the 14th Finance Commission under the chairmanship of former Reserve Bank of India Governor Y V Reddy. The commission will submit its report by October 31, 2014. A finance commission is set up very five years by the President under Article 280 of the Constitution. Its constitutional mandate is to recommend how the Union government should share taxes levied by it with the states. These recommendations cover a period of five years. The commission also lays down rules by which the center should provide grants-in-aid to states out of the Consolidated Fund of India. It is also required to suggest measures to augment the resources of states and ways to supplement the resources of panchayats and municipalities. The Terms of Reference (TOR) of the Fourteenth Finance Commission (FFC) are comprehensive in its coverage of the three main constitutional mandates of the commission, namely, recommendation of the principles on which a. tax revenue will be shared between the Union government and the states' grants-in-aid would be provided to states, and c. transfers of resources to local bodies for five years commencing from 1st April 2015 will take place . There is also an emphasis in seeking recommendations on ways to increase tax and revenue mobilization to increase tax-GDP ratios. This recognition of the low level of tax GDP ratio in India is a welcome departure.There are also welcome shifts in the TOR in the recognition of non-salary and non-wage revenue expenditure as an important component of maintenance of capital assets. However, the emphasis on only the ‘plan’ component of such expenditure misses the point that revenue expenditure is important in the maintenance and upkeep of existing assets and infrastructure in resource constrained economies and these entail emphasis on non-plan revenue expenditure. Development goals are dependent on public delivery of social services, and these cannot be achieved if non-plan revenue expenditure is curtailed. An obvious and long standing position has been to argue that the Finance Commission TORs should remain confined to its basic constitutional mandate . But even if the FC mandates had remained confined to the constitutional scope, the question of the political approach to the mandate remains central. The obsession with fiscal conservatism in the era of neoliberalism has underpinned the methods adopted by the last four FCs in the exercise of their constitutional mandate. Differentiating between equity and equality, the neoclassical mainstream of the discipline of economics and the public policy paradigm that derives from it has grappled with two defining questions: first, is it possible to have “equity” and “equality” in a system that prioritises efficiency in resource management over social justice, and second, is horizontal equity the most widely accepted principle of equity. 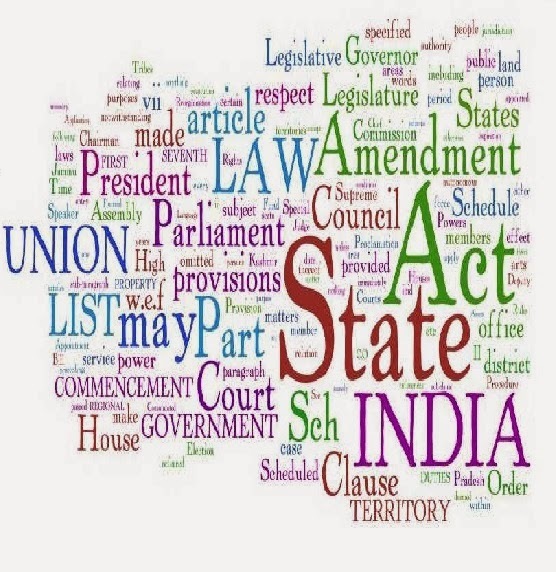 These questions have been central to the academic debates around the principles laid out by successive Finance Commissions in defining the “equalisation” exercise for central transfers to states. Over the years with the intensification of inter-state disparity since the 1960s, but especially since the time of the 11th Finance Commission, normbased “equalisation” has been posited as the desirable end in the interest of both “equity” and “efficiency” and argued to be free of the problems associated with the earlier “gap-filling” approach of Finance Commissions. The objective of equalising basic services across states at an average level has been held as a desirable goal. In the mainstream of the discipline, the Twelfth Finance Commission’s scheme of fiscal transfers was held to have served the objective of both equity and efficiency within a framework of fiscal consolidation . However, an important set of concerns within the mainstream has also been the inability of the Twelfth Finance Commission’s norm based approach to distinguish itself from the previous raison d’être of gap-filling. Neither approach has been able to ensure a fair share of resources between the centre and states and the states inter se in the wake of increasing regional disparities on the one hand and fragmented political mandates at the centre and in the states on the other. Another set of contentions have derived from concerns around redistribution and the undermining of the equity principle since the Tenth Finance Commission. The discarding of emphasis on redistribution has been accompanied by a shift towards criteria like tax effort and fiscal discipline which are informed by fiscal conservatism. This tendency has been entrenching itself at a time when regional disparity has been widening. In the last decade, the question of disparity between different regions within states has become politically important with the contradictions in centre-state relations exacerbated by neoliberalism even as the Finance Commission strictures based on fiscal discipline were being institutionalised. In most of these debates in the domain of public policy and finance with regard to Finance Commission transfers, regional disparity understood as inter-state disparity is a ceteris paribus condition. The disciplinary expertise in the Finance Commission has been devoted to designing closest to optimal allocations in balancing the competing demands of low and high income states. In this exercise, the indicators of regional disparity which only quantify symptoms have been the basis of the formula for horizontal devolution. Yet, the political expectations around Finance Commission transfers are towards reversing trends in widening regional disparity and thus addressing the cause of widening regional disparity. This encompasses issues around both vertical and horizontal devolution and emphasis on equalisation that demands a break from the ceteris paribus assumptions of not just the equity/efficiency paradigm but also a departure from the methodological approach of conceptualizing regional disparity as an ahistorical given. Present arrangements as regards financing of Disaster Management with reference to the funds constituted under the Disaster Management Act, 2005(53 of 2005). In the process of developing its recommendations, the Commission has been asked to review the fiscal consolidation roadmap that had been suggested by the 13th Finance Commission and the Commission has been given the room to ‘suggest measures for maintaining a stable and sustainable fiscal environment consistent with equitable growth including suggestions to amend the Fiscal Responsibility Budget Management Acts currently in force’.The Commission has also been asked to ‘consider and recommend incentives and disincentives for States for observing the obligations laid down in the Fiscal Responsibility Budget Management Acts’. This entails recognition that the Fiscal Responsibility Budget Management (FRBM) Acts need to be reconsidered both in the light of sustainability and relevance for State-level fiscal policy analysis. However, it still indicates a fear of the fiscal deficit which derives from overtly ideological fiscal conservatism and has very little to do with the principles of economic theory. This has been pointed out by many experts since the tenure of the 12th Finance Commission when the question of the fiscal deficit gained ascendancy. There are two sets of arguments in this regard. Some experts believe that while containing the fiscal deficit is important, there is no need to specify targets for both revenue and fiscal deficits. Others believe that the basis of FRBM Acts itself is unnecessary as containing the fiscal deficit is not an economic priority for countries like India where unutilized capacities entail a demand generating role to the fiscal deficit without necessarily aggravating inflation . In fact, the experience of the Indian economy in the period of the Thirteenth Finance Commission shows that bringing down the fiscal deficit (which most states have done) has very little correlation with inflation levels (which have risen in the same period). Inclusion of considerations of defense expenditure priorities of the current government as a binding constraint on the revenue pool available for sharing with the states. One can envisage an alternate policy paradigm in which social expenditure needs would be a given as opposed to defense. Thus by framing the TOR in a way in which the current defense expenditure policy is a given, the autonomy of policy space for the Finance Commission has been eroded. This dangerous trend of treating India’s burgeoning defense budget as sacrosanct,at a time when India has emerged as the world’s single largest buyer of conventional weapons (accounting for 12 percent of global imports), needs to be countered both from the concerns about militarization and the question of social priorities. The obsession with debt-stress has also meant that there has been undue compression of expenditure in low income states due to historical debt burdens. The Commission should be free to examine the causes of the debt-stress since the mid-1990s and suggest ways to ameliorate the debt-stress including the possibility of exploring the widest possibility of write-offs instead of making debt another binding constraint as has been the feature of the last two FCs on this matter. Disinvestment in public sector enterprises is once again a narrow political priority of the current executive in keeping with its neo-liberal preoccupations and is way beyond the constitutional mandate of the Finance Commission. Assumption that the Goods and Services tax (GST) will be efficient and enforceable in a country like India, where production and consumption base is highly heterogeneous, has proved to be unworkable in the last few years. The GST assumes that all low production states are high consumption states but this is a flawed assumption. In reality, most low production states are also low consumption states and for such states GST may not necessarily entail much change in resource constraints. The TOR is also significant in its exclusion of the current state of the Indian economy and the global context. There is no mention of the global recession, the linkages between India and the global economy, the intense slowdown in manufacturing as a result of these linkages and the protracted crisis of agriculture in India which predates the global crisis. Lastly, ecological sustenance and environmental concerns are of primary importance and these should be central to the formulation of policy goals and should inform every aspect of policy. However, demands on the Finance Commission to address climate change is not necessarily in line with its constitutional mandate which is focused on principles of resource sharing between the Union government and states. From the viewpoint of both effectiveness and autonomy, it is best if the Finance Commission’s TOR does not move way beyond its constitutional mandate and the FFC can keep itself free of the overriding economic priorities of the government in power in the consideration of the methods by which it will decide on questions of resource mobilization and revenue sharing.